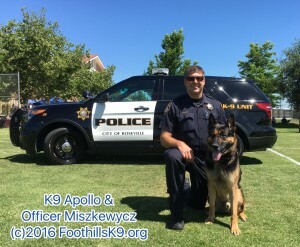 Officer Miszkewycz and Apollo. Apollo is a 5 year old German Shepherd imported from Germany. They are assigned as the designated SWAT K9 team and train with Roseville SWAT. Officer Miskewycz has been with the Roseville Police Department since 2005, after spending five years with the Scotts Valley Police Department. Eros was imported from Canada in 2010. 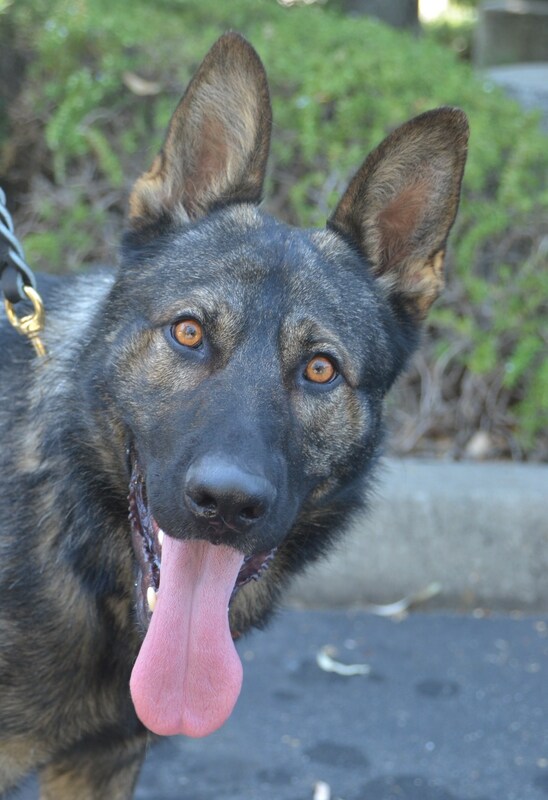 Eros weighs approximately 70 pounds and recently completed patrol and narcotics training. Eros position was funded by drug asset forfeiture funds. Officer Lawley joined the Roseville Department in 2005 after spending four years with the Chula Vista Police Department. Matt and Iggy became partners in August 2011. 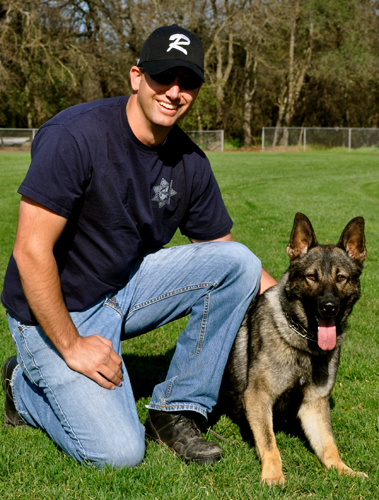 Matt’s father was the first Roseville Police Department’s K9 Handler, working with “Cody” in 1986. Matt continues the family legacy with “Iggy”. Iggy was born on May 17th 2009. He is trained in Handler protection, building and area searches, tracking and narcotics detection. Iggy is considered a miracle dog because just weeks after being partnered with Matt he contracted a virus and nearly died. Another testament to the bond he had formed with Matt and his family , he recovered completely.